BélO has been hailed as Haiti’s musical ambassador to the world. A socially conscious singer-songwriter with a sophisticated sound and winner of numerous awards, including the prestigious "Prix Radio France International Discoveries of 2006," BelO’s sound is a mixture of Worldbeat, Rock, Reggae and Haitian traditional rhythms known as “Ragganga”. Nadia Dieudonne & Feet of Rhythm is an Afro-Haitian folkloric dance company created to preserve and promote the rich culture of Haiti. Since 1994, the non profit group has personified Haitian pride by performing at cultural events worldwide including the Wasshoi International Dance & Music festival in Osaka, Japan; Brooklyn Museum of Art; several cultural festivals in Canada, Summer stage-Central, Prospect Bark-Band shell, Lincoln Center-Out of Doors and American Folk Festival in Maine and more. Hailed as the "Joni Mitchell of Haiti," Emeline Michel has emerged as the reigning queen of Haitian song. Her songs merge native Haitian compas and rara with jazz, pop, bossa nova, and samba. A captivating performer, versatile vocalist, accomplished dancer, songwriter, and producer, Emeline sings in French and Haitian Creole, and her worldwide concerts and seven CDs have catapulted her to international acclaim. Float away on the enchanting voice of Stevy Mahy whose lyrics flow seamlessly over rich acoustic melodies that envelop and warm the soul. Growing up in a musical household, she spent her time between her birthplace, Paris and Guadeloupe. Stevy's music is distinctly influenced by her global childhood. Singing in English, French, and Creole, her hushed tones and intimate style are complemented by the hints of Caribbean rhythm. Daniel Beaubrun A.K.A Dadi founding members of the acclaimed World Music group "Boukman Eksperyans". Among Dadi's many accomplishments is the 1992 Grammy nominated album of the year in the World Beat category, "Vodou Adjae", which he co-wrote and produced. As one of the pioneers of the "Rasin" (Roots) music, his original style has taken Vodou music out of Haiti giving it international recognition. 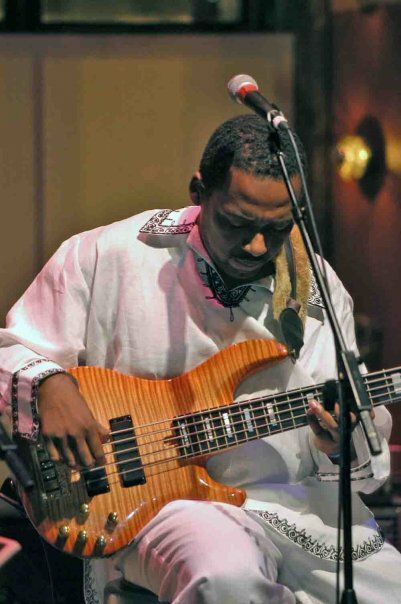 Since leaving the band he co-founded with brother Theodore "Lolo" Beaubrun, Daniel has worked with such internationally acclaimed artists as Peter Gabriel, Youssou N'Dour, Jimmy Cliff and Asa, and even contributed tracks to the Wyclef Jean album Ecleftic and Kreyol 101. Dadi's unique flair is a fusion of Rock, Pop, Reggae and West African flavor bring forth a new vision of cross culture distinction for "Rasin" (Roots) music. New Album release "Project Haiti"